Lightweight "Caution" sign is 4-sided for effective multilingual safety communication and utilizes ANSI/OSHA-compliant color and graphics. 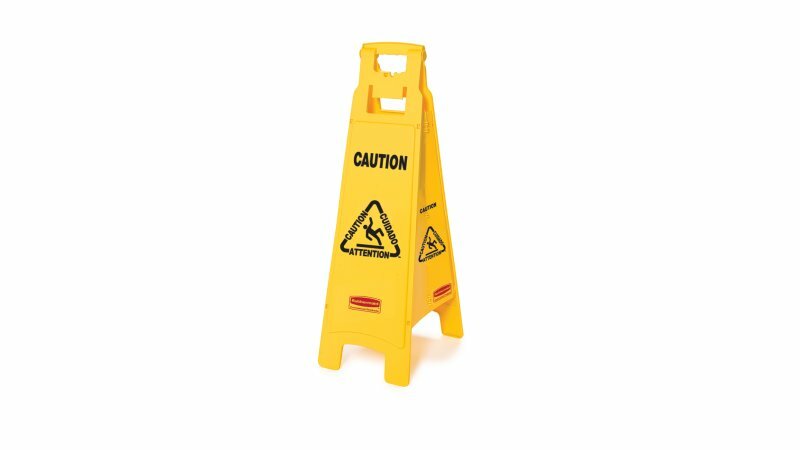 The Rubbermaid Commercial Multilingual "Caution" Sign is a lightweight sign for effective safety communication. 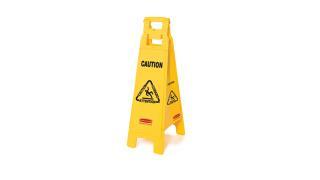 It is a 4-sided, quality floor sign with “Caution” warning messages imprinted in English, French, and Spanish. The sign folds for convenient storage and transport on Janitorial Carts or Rim Caddies and utilizes ANSI/OSHA-compliant color and graphics.